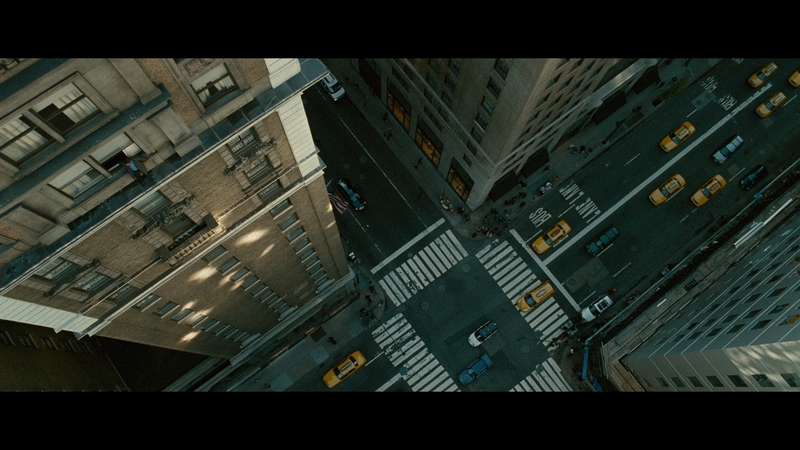 Man on a Ledge has a triumphant quality: it’s camera work. Situated on Madison Avenue at the Roosevelt Hotel in New York, that camera swivels and swerves multiple stories up. There is no green screen; that’s Sam Worthington looking over the ledge at the city populace below. It’s an unnerving, tense sight, both disorienting and dizzying, double that if heights don’t agree with you. All of these ledge shenanigans are a cover, the film better equipped with the title Man on a Ledge While a Heist Movie Breaks Out Across the Street. How the two interconnect is the crux of the story, that second half unfortunately led by an obnoxious Jamie Bell and Genesis Rodriguez. They’re quest is filled with drab one-liners and spotty behavior, bringing into question their precision work. Thomas Crown Affair this duo is not. Most of the film is straining itself to remain believable, Cassidy the type of guy who planned for everything no matter how the scenario shifts unexpectedly. A police background lends some credence to procedure, if not the random incidents that sprout up during his height time. “He was a cop,” is almost too easy as a write off. Much of the inconsistency is brushed aside for a breathlessly paced finish, a tense final third pushing Cassidy from his comfortable shelf out on the run, although still not on the ground. Dropped from the gun fights on high is a reporter who amounts to nothing of interest, letting the script pour on the sap for closure instead. Man on Ledge does carry a few surprises even if they’re light on impact, but it’s breezy thriller material engaging enough to earn a pass. Brought to life with a fine grained film stock, Man on a Ledge’s qualities in its transition to the home are almost all positive. Summit’s well groomed AVC encode marginalizes a few minor grain spikes with fantastic compression work, and keeps forging ahead to maintain equal levels elsewhere. The movie carries a constant veneer that is light enough to never be a bother, and noticeable enough to add texture. More importantly, the image has a flawless level of sharpness. Those upper level views peering down on the streets are not dizzying just because of the view, so much as they are because of how crisp the image is. The Roosevelt’s brick structure is evident even that high up, down to street level. There’s no loss of focus. It’s impressive how the image holds and is maintained during those wide angles, more so when it’s shoved into an actors face. There’s a lot of tension derived from stress-filled close-ups, and an equal amount of definition. Texture simply soars here, with perfect facial detail. Even those shots that may drop a smidgen of quality retain a realism and splendid HD material. Man on a Ledge only goes awry with regards to shaky black levels, shifting from dense blues to brightened grays. Shots inside a surveillance van are especially bothersome, and stand out because of how splendid the blacks are elsewhere. Coupled with a broad color palette that employs enriching primaries, the movie screams depth when working as a whole. Audio is crucial in making the ledge situation a completely precarious set piece, and there’s enough of New York in the mix to make it work. A light wind is prevalent during the majority of shots to accentuate height, mixing in with gawkers on the ground screaming at Cassidy. Car horns and sirens have a way of finding the surrounds and stereos for an enveloping style. The real challenge come early. Cassidy is in fact wearing an ear piece and mic, but in order to avoid being spotted, mumbles into the piece. “Mumbles” is not an exaggeration. His words are lost unless heard on the other end when the camera switches venue. It’s one thing to make him quiet, another to make it unintelligible, although the lines are of minimal importance. Action highs include a TV station’s helicopter coming close with rotors loudly mixing into the soundfield. Late, assault rifles flare up, with bullets pinging off ventilation shafts on the roof. A hint of bass will bring each round to life without being overly aggressive. The Ledge is a strong 15-minute look at how the crew managed to shoot in such a difficult location, and without much control over the people below. Oddly, a trailer for the film has a commentary with Elizabeth Banks, but the film itself has no such dialogue accompaniment. Summit’s usual BD-Live access is offered too.